Pinterest is where your prospects and customers turn to get inspiration and shop on social media; it’s couch commerce at its best. Pinterest has 30 billion pins and 750 million pinboards according to founder Evan Sharp. Yet the beauty of Pinterest is that users never feel overwhelmed. 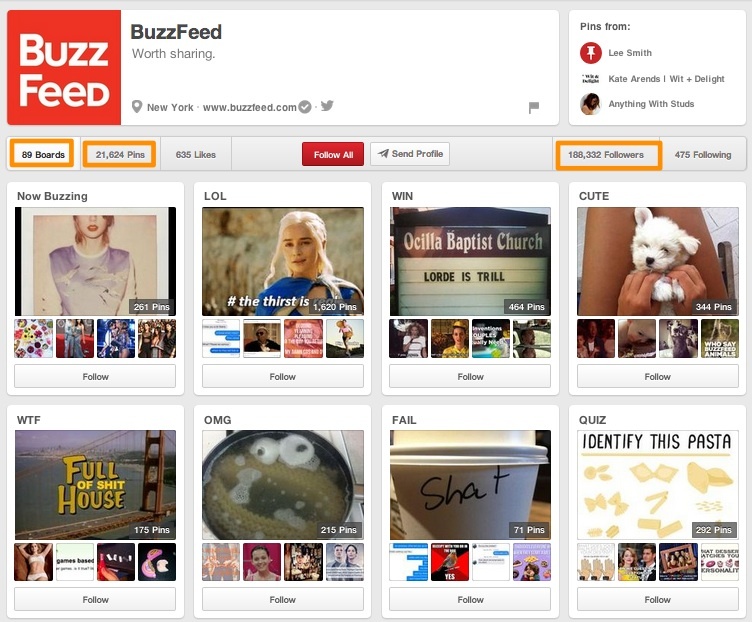 Pinterest focuses on the individual. Socializing happens as a result of shared interests, not personal relationships. 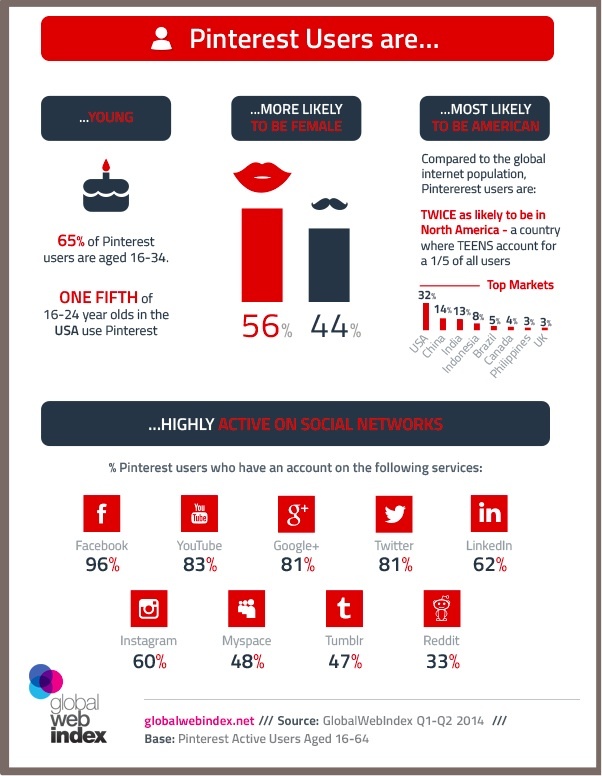 Pinterest users are highly active on other social media networks according to Global Web Index. As a result they don’t need the same input from family, friends and colleagues that they get from other social media platforms. For marketers Pinterest is ALL about sales and traffic. While it’s never anyone’s first choice for social media marketing, it delivers measurable results that you can’t ignore. Besides you’re hardly alone: 500,000 businesses are on Pinterest. 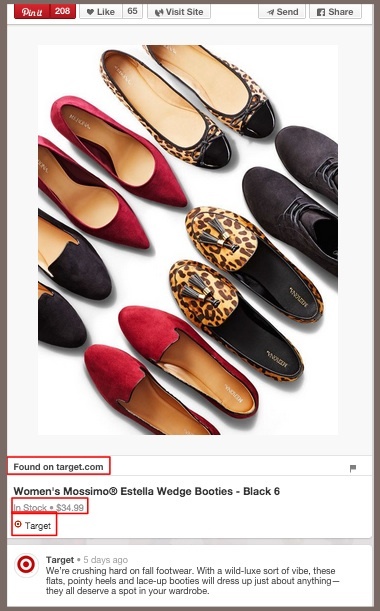 Pinterest’s guided search goes beyond “I want this information” to provide users with information about what other people are asking who look for the same thing. It informs the user based on other people. This can be helpful for businesses. Pinterest has a $65 average order value, $10 higher than Facebook’s $55 average order value. Further Pinterest exceeds Facebook and YouTube in its percentage of downstream traffic directed to retail sites according to Experian. The top retailers are Amazon, Target, Zulily, Walmart and Norstrom. Know your audience’s Pinterest tastes. You have to know your target customers and what they seek on Pinterest. Include this information in your social media persona. 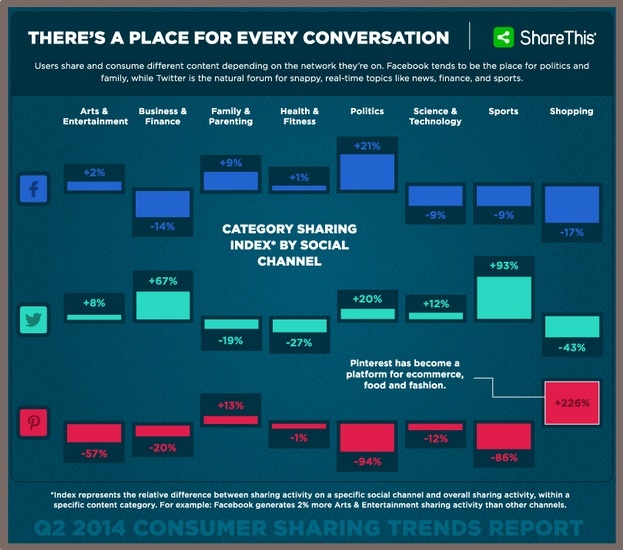 Pinterest is where consumer conversations happen, especially food and fashion according to Shareaholic. 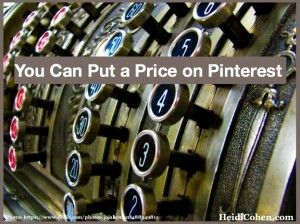 Include prices in your pins. Pinterest pins with prices get 36% more likes according to Wishpond. Use rich pins to include current pricing details and directly link to your product page. This makes them more effective selling tools. Otherwise, the use has to hover over the pin for it to appear. 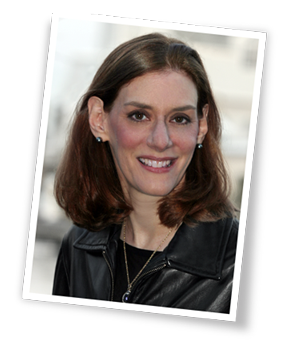 (Here are more Pinterest tips for repinability.) Here’s how Target uses rich pins for pricing. Use prices to alert pinners when the price drops on rich pins (Hat tip: GetElastic). Via email Pinterest notifies any user who pinned your product when the price drops, even you have no connection with the pinner. Further, for Gmail, the message is considered social, not a promotion. Spotlight your popular product on Pinterest on your website. Target calls its page of pinned merchandise its awesome shop. Boutique shop ModCloth also does this. Underlying this recommendation is the fact that a highly pinned product acts like a rating that customers seek. Re-imagine your older merchandise pages for product that’s no longer available. While you may no longer have the product, if it’s got pins, you may still receive purchase-oriented traffic. Take advantage ofthis opportunity by acknowledging that the product’s no longer in stock, then redirect them to similar product, the category page, your homepage, or ask them to opt-in to your email list. Pinterest is the second largest referrer of social traffic. It’s up 50% since last year according to Shareholic. In September, Pinterest delivered 5.52% of total visits sites received. Take a page from the Buzzfeed playbook. 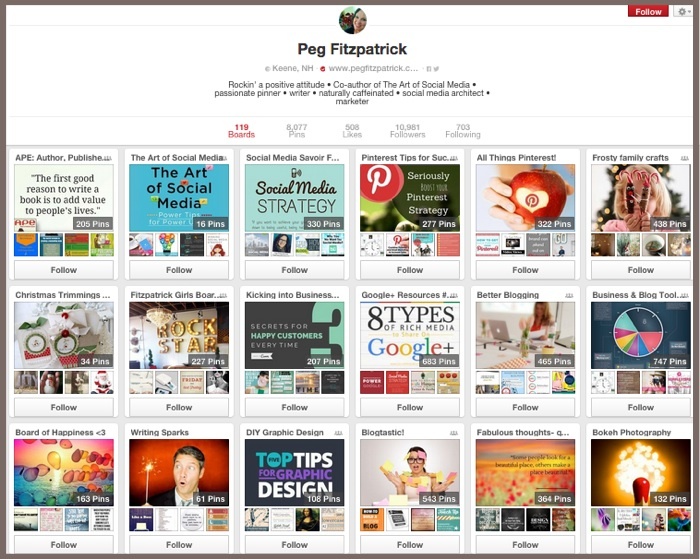 Create at least 1 pinboard for your blog posts and other content. Peg Fitzpatrick does this as well and confided that it’s a great driver of traffic. Add this to your content curator’s duties. Skip the same old, same old when naming your Pinterest boards. When creating new pinboards, use keywords in the names. Don’t use undescriptive options like “My Style.” Note how Peg Fitzptrick does this. Attract traffic with other types of rich pins. They include: Place Pins (map, address, and phone number), Article Pins (headline, author and story description), Recipe Pins (ingredients, cooking times and serving information), and Movie Pins (ratings, cast members and reviews). Choose your “About” section words with care. Include the full link back to your site and keywords in your 200 character limit. Remember Pinterest doesn’t like shortened links. Crosslink to your other social media profiles. Let your followers get to know who you are and expand your reach across platforms. Think traditional newspaper mechanicals. Put your best content above the fold to maximize visibility. Maximize the power of your images. Use the right size photo in the right place. Profile image is 165 x 165 pixels, Board title 217 x 146 pixels, a standard pin is 238 pixels wide and an expanded pin is 736 pixels wide. Here are more details on Pinterest images and descriptions. Use your hashtags. As with other social media platforms use appropriate hashtags to broaden your reach but limit yourself to 3 or less hashtags per pin. 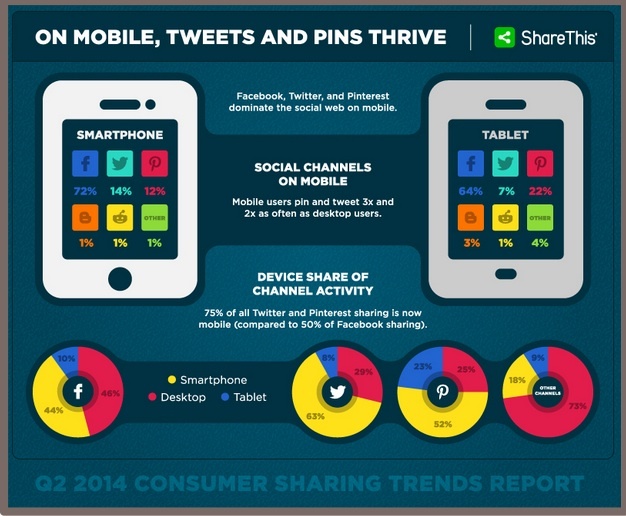 75% of Pinterest shares occur via mobile, higher than Facebook based on Shareaholic. 12% of Pinterest shares come via smartphone. 22% of Pinterest shares come via tablet. Users spend 2 hours and 18 minutes on Pinterest during an average month according to Nielsen. 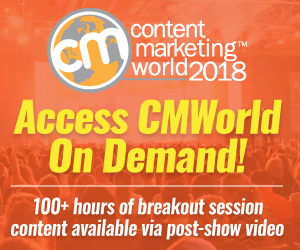 Their time breaks out: 36 minutes via a computer, 1 hour 39 minutes via a mobile app and 3 minutes via a smartphone browser. Make your content mobile friendly to reach Pinners where they spend their time. Improve your mobile website and install rich pins. The fact that you can put a price on Pinterest is a strong reason to give it a place of honor in your social media strategy. The fact that using rich pins sends an email to everyone who’s pinned your product is an amazing incentive that every marketer, especially B2C, should be scrambling to use. Added to this, Pinterest drives traffic, regardless of what type of marketer you are. Therefore, make sure that your content curator is optimizing pins of your current and past content to attract more readers. Since marketers use an average of 6 to 7 social media platforms, Pinterest must be in your social media and marketing plans for 2015 and beyond. How have you used Pinterest to improve your marketing efforts? 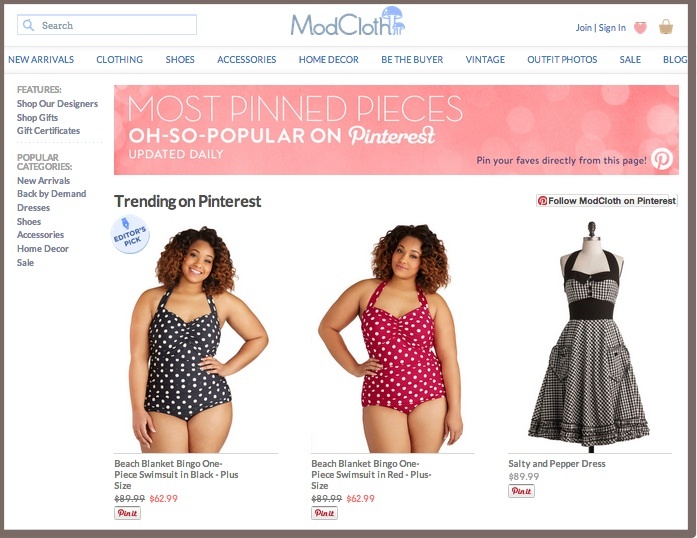 Tags BuzzFeed, Evan Sharp, Global Web Index, ModCloth, Nielsen, Peg Fitzpatrick, Pinterest, Shareaholic, Target. Bookmark the permalink.